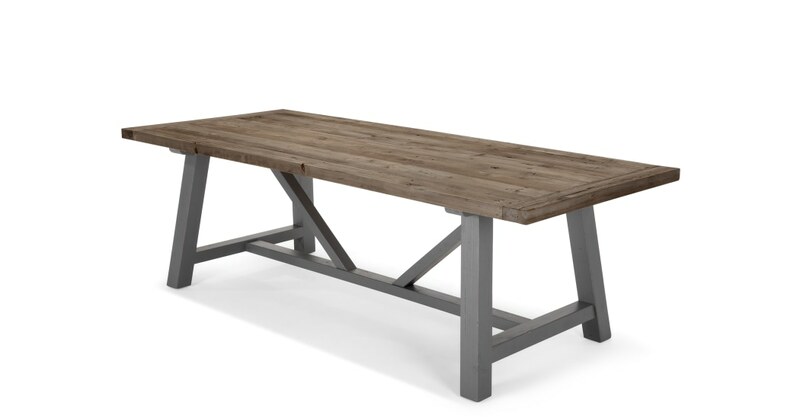 Bring the family together with this Iona table and its matching bench. Its distressed paint finish is unique to each piece and will instantly give your dining space character. Crafted with solid pine wood, we let it speak for itself. The knots and grain are individual to each piece so no two tables are alike. We love the idea of sitting around this table. The Iona bench is generously sized too, so you can always squeeze a few more in. Seats 6-8.